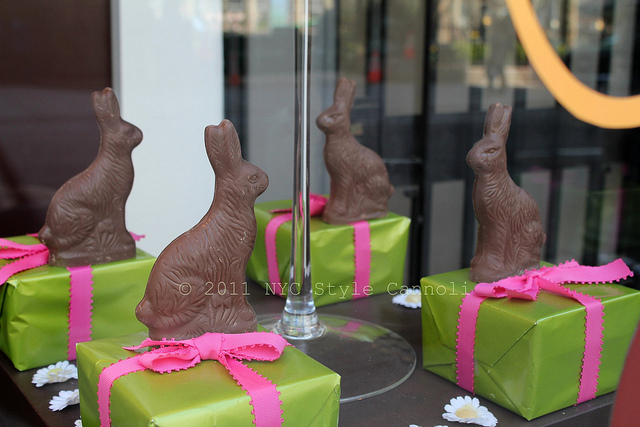 Photo Gallery Thursday "Lily O'Brien's Chocolate Cafe"
Since we are in Easter Week 2011, thought I would post this great Chocolate Easter Bunny window from Lily O'Brien's. A few Saturdays ago, when I was in the city, it was so gorgeous...the sun was not easy shooting the windows. This shot came out great....more on Lily's in a regular post but a place to visit in the city for sure!! !